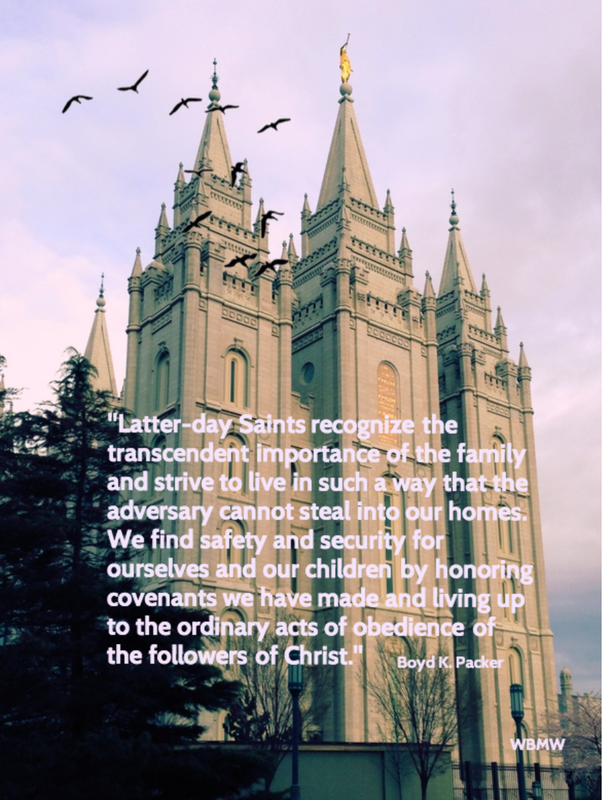 Posted on April 14, 2013 by Geoff B.
Saturday’s sessions of the April 2013 General Conference of The Church of Jesus Christ of Latter-day Saints (Mormon), had me thoroughly engaged — every second, during each of the day’s meetings. Perhaps I was unknowingly spiritually dehydrated? And one could easily blame it on the times we are living in, causing us all to feel as though the winds and the waves are literally refusing to obey — clearly heaving beyond their bounds. Also, I will confess, it could very well be that I was trying with all my might, mind and strength, to perform my social media duties with as much precision as humanly possible — no pressure! Nevertheless, whatever the reason for my state of mind — even if all of the above — the words of living prophets and inspired leaders, when they began to come forth, for this famished soul, were like manna from heaven — and I did lap them up, not caring if I had to fall to the ground to consume every… last… word. But wait. Let’s back things up a bit… because, at least for me (and I’m sure many of you will agree) that unusually, and not officially mind you, but this General Conference, actually began on Friday. That’s right. In case you missed it, on Friday, the Mormon Newsroom released back-to-back, two significant items of interest. And both, directly affecting the women of the Church. The first, a 15 minute video discussion, featuring the three general President’s of each of the women’s auxiliaries, discussing equality and priesthood. And second, a press release, announcing a new Mission Leadership Council, which will utilize sister missionaries in the mission field, giving them much more responsibility for teaching and training sisters in the field, and counseling with priesthood leaders. Both of these posts on the Newsroom were unexpected, especially the timing, coming the day before General Conference began, and affecting topics that many were hoping would be directly addressed, in specific ways, during the actual conference. In other words, this strategic move by the Church, has left itself open, in some people’s minds, to many interpretations. Although personally, I don’t feel that way at all. I loved listening to these great women of faith, speaking with such candor and understanding, on topics that needed to be addressed — and by our female leaders. I support these sisters and the positions they take on these matters. Now, back to Saturday… So, whether or not other women in the Church were affected by what was put up on the Mormon Newsroom, I can’t say, but as for me personally, I was, and in very positive ways — and especially going into General Conference. I was probably most impacted by listening to the video discussion, as it felt very familiar to me. Not that I’ve served with prophets and apostles, but rather that I’ve had the privilege of serving with LDS women whom I’ve shared very similar bonds of charity and testimony, and had similar discussions in which a spirit of testimony and love for priesthood power and authority were both understood, cherished and valued; not out of naivety, but despite it. The point being, that for me, the tone of General Conference was clearly set on Friday, with the release of these two very important news release items — sending forth very strong messages, which for this woman, and I believe many other faithful LDS women, have been weighing heavily on our hearts and minds, over these last few months. And with that, the opening session of April 2013 General Conference begins… and I, already having felt such a sense of gratitude for my Heavenly Father… in knowing, with a surety, that he has heard the fervent prayers of so many of His daughters… and has responded to them… already… in preparation for this conference… and my heart is full. It was a surreal moment that is difficult to explain, but looking back on it now, it is even harder, because I fully understand it, and there really aren’t any words. And so, I will leave it at that. My experience with General Conference has changed over the last few years as I’ve started to cover it through the lens of social media. As more of you are becoming aware I sit in the media room, by invitation, in the LDS Conference Center, and live broadcast over the Internet, the words of living prophets to all the world! And yes, that’s exactly how I see what I do. Deciding what parts of a prophet’s address to transcribe into the ether requires the guidance of the Spirit — which I take very serious — a prayer waiting to be answered perhaps? Investigators listening on Twitter? It was wonderful to see President Monson looking so strong, and to hear his prophetic counsel. His instruction at the close of his opening remarks, particularly struck me, “I urge you to be attentive and receptive to the messages which we will hear. That we may do so is my prayer“, and which I, personally, took to heart throughout the entire conference. If the Church were to introduce a ‘Family Theme’, I think that this beautiful statement could very well qualify. Going on to read the remainder of this talk, President Packer then teaches the important doctrine of the priesthood, that support these comforting promises. This is the testimony upon which I have raised my own family, and is the reason why these words, in particular, caught my attention. Update: I have created a meme with quote — because I love it that much! “The same priesthood power that created worlds, galaxies and the universe can and should be part of our lives to succor, strengthen and bless our families, our friends and our neighbors — in other words, to do things that the Savior would do if He were ministering among us today. I thought this was a beautiful illustration of the power and authority of priesthood intermingled. This is a beautiful talk. In my opinion, when an apostle of the Lord says that he has learned a lesson repeated times, to the point in which he testifies to which he now knows that it is an absolute law — that is math, my friends. Learn it and apply! How important is it that we teach the importance of ordinances to our children. We cannot assume that they understand these vital doctrines. That is one strong statement. When applied to the ‘advocacy’ of the SSM agenda, I would say that if you are in any way supportive of such an agenda, that counsel would make me very, very uncomfortable. I felt it. I believe most all felt it. It was a wonderful first day of General Conference. Our spirits were lifted, and our testimonies were strengthened! I’d love to hear your thoughts, and know what your favorite talk was, or moment, experience if you’d like to share — about Saturday. I’ll post my thoughts about Sunday and an overall wrap-up, soon. I’m heading back to California this afternoon. It’s been wonderful to be here in Utah — can’t wait to return! For complete coverage of April 2013 General Conference see Mormon Newsroom. I am firmly of the opinion that Church Leaders have stepped it up in response.